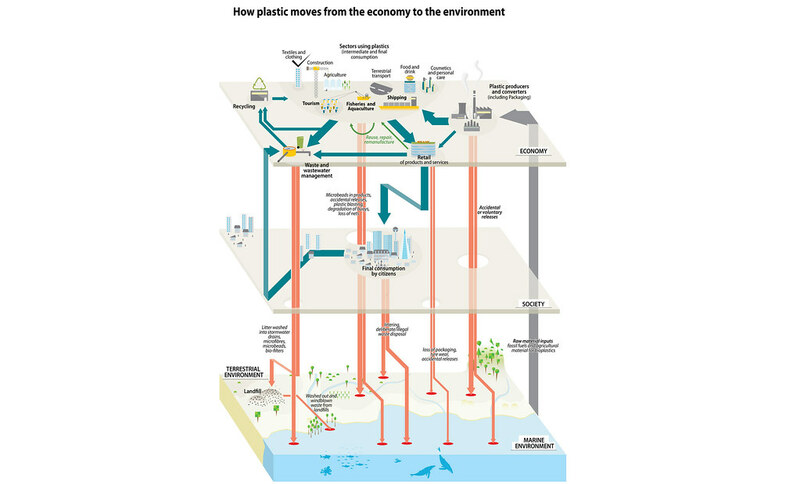 Marine plastic litter, like other waste or pollution problems, is really linked to market failure. In simple terms, the price of plastic products does not reflect the true cost of disposal. The cost of recycling and disposal are not borne by the producer or consumer, but by society (Newman et al., 2015). This flaw in our system allows for the production and consumption of large amounts of plastic at a very low “symbolic” price. Waste management is done “out of sight” from the consumer, hindering awareness of the actual cost of a product throughout its life.